Somebody, start sketching out the storyboard for Chance the Rapper’s Voting Day Parade immediately. 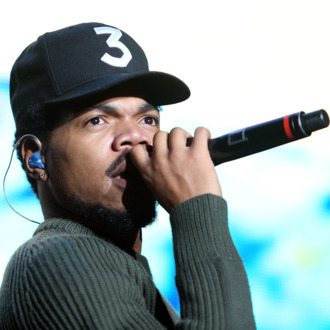 Combining the two most purely good American traditions (voting and parades) yesterday, the rapper capped off his Monday afternoon concert in Chicago’s Grant Park by leading a crowd of fans to an early polling station. He retweeted videos of the parade with the hashtag #paradetothepolls. The concert was put on by Chance’s Social Works, a nonprofit that seeks to engage millennial voters. Chance concluded the march by casting his own ballot, begging the question: Maybe this whole horrible election was worth it for this one incredibly inspirational story you can tell your kids?